ICS has released the open source Media Manager software code which we've been referring to in the Media Manager blog series. The code is now available for download at ICS's GitHub repository. 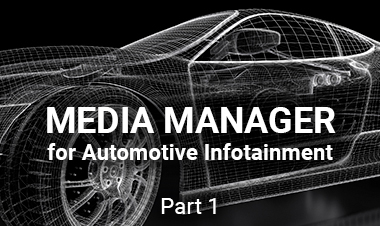 If you want to learn more about the how and why of this automotive infotainment solution project, please view this on-demand webinar, where we explore the making of our Automotive IVI Media Manager and explain the design rationale for our architecture.